New Delhi, 21st April 2016: Shortly a week after the launch of the new Saluto RX, India Yamaha Motor announced today the launch of the new Cygnus Ray-ZR scooter for the Indian market which will be available from May 2016 onwards. The all new Cygnus Ray-ZR was unveiled during the 13th Auto Expo in February this year. The Cygnus Ray-ZR was developed around the concept of a "Next-Generation Real Boy's Scooter." The new model actively adopts the latest trends among young people. It takes on a new exterior design characterized by a sense of dynamism and layered forms that gives a fresh look like no other scooter before and expresses the strength of a well-trained physique. The design realizes the 'Real Boy's Scooter' concept by balancing the deeply-sculpted and powerful front mask, effortlessly-layered straight lines, and tail surround accentuated with a sense of speed. The Cygnus Ray-ZR is powered by an air-cooled 4-stroke, SOHC, 2-valve 113cc "BLUE CORE" engine with a continuously variable transmission (CVT) unit. It features a lightweight body (103 kg) with glamorous design and offers user-friendliness. The main features also include 1) an engine with high combustion efficiency to offer among the best fuel efficiency in its class at 66 kmpl* (*under standard test conditions) 2) Plenty of storage space (21 litres under seat storage) 3) Newly designed instrument cluster with excellent readability, even at night 4) Tubeless tyres. The new model will come in two eye-catching colors for its disk brake model to fulfill the needs of trend-conscious young riders. It will also be available in two different colors for its drum brake variant. Till date, India Yamaha Motor has enhanced its Indian market scooter lineup by consistently launching products that respond to a wide variety of user needs, such as the Cygnus Ray aimed at female riders, the Cygnus Ray Z targeted to young people, the family-oriented Cygnus Alpha, and the premium fashion scooter Fascino. Mr. Roy Kurian, VP-Sales & Marketing, Yamaha Motor India Sales Pvt. Ltd. added, "Out of the total demand of two wheelers in India, the scooter segment is soaring with 30% contribution to the sales and we are looking at 10% market share for this year. With Yamaha's forte to cater to youngsters with its DNA of style, sportiness and innovation, the new Cygnus Ray-ZR will surely be a treat for real boys, especially among the ones particularly keen on style and technology. Since 2012, Yamaha's Scooters were enthusiastically accepted in the market. With the launch of the Fascino in 2015, Yamaha further witnessed a steep growth in sales, which only testifies its strong product focus and market strategy. 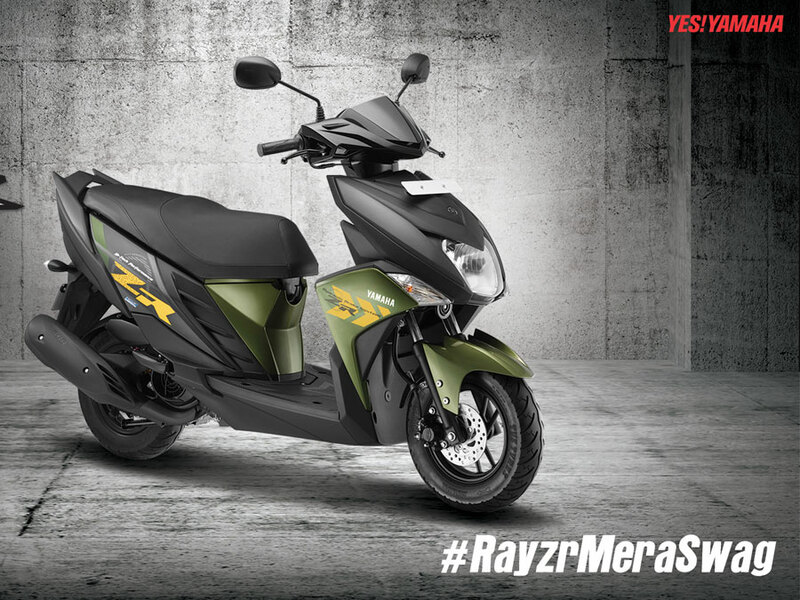 We are excited to launch the new Cygnus Ray-ZR which is all set to rev many hearts among Indian customers." New Delhi, 14th June 2016: In its continued endeavour to bring new excitement to its customers, India Yamaha Motor today launched the disc brake variant of its successful scooter Cygnus Alpha for the Indian market. The Cygnus Alpha comes at a price of Rs. 52,556 (ex-showroom Delhi) which will be available across all Yamaha dealerships from mid-June 2016. The Cygnus Alpha is developed to target customers who are in search of a scooter which will fulfil the needs of a family, with its concept of "Easy to go and high utility city mover". The new disc brake variant of Cygnus Alpha will be available in two new exciting colors - Radiant Cyan and Marvel Black. The drum brake variant of the Cygnus Alpha is also available in the market for customers. As part of the brand's continuous product innovation, the Cygnus Alpha scooter disc brake variant is enabled with the Blue Core Technology and features excellent engine performance and good mileage (*66 km/l). The attractive new graphics sport shades of Cyan and Black, with stylish calligraphy designs, bringing out a fashionable urban look. This variant is powered by a newly developed air-cooled 113 cc, four stroke single cylinder engine that delivers smooth start-up acceleration and pickup. The scooter provides ample storage capacity (21 litres) and excellent riding comfort for single & tandem riding with a flat long seat and large foot space for both rider and pillion, making it a new age stylish family scooter. Yamaha Motor India Sales Pvt. Ltd. has launched two new color variants of its bestselling Yamaha R15 version 2.0 to add more colors and infuse excitement to the colorful festival of Holi this season. 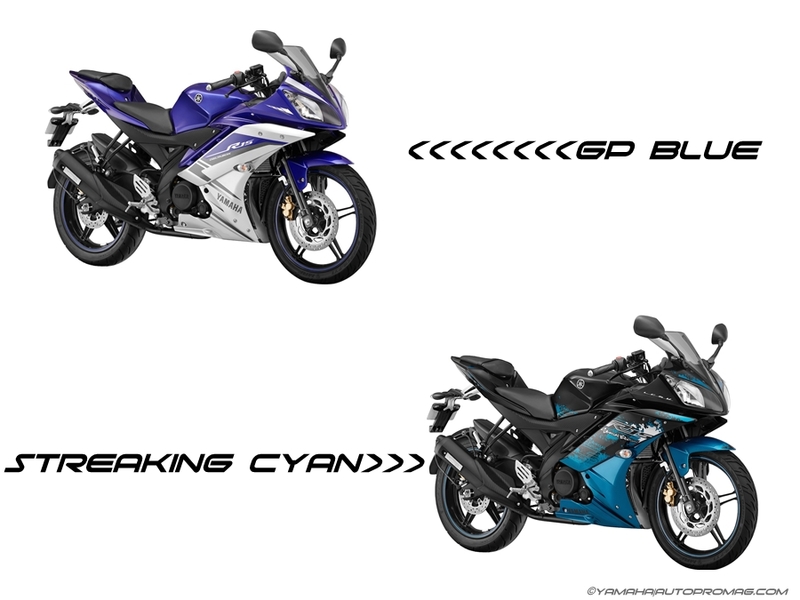 The R15 version 2.0 will get a new look in terms of two new exciting colors - "GP Blue" and "Streaking Cyan". The new variants of Yamaha R15 version 2.0 will be available at all authorized Yamaha dealers across India. It has been the hallmark of Yamaha to innovate and introduce products that has strong connect with its large customer base. "R15" has been a significant milestone in that sense in the company"s history: the product being the torchbearer to introduce the racing culture in India. The new variants will further help Yamaha to consolidate its position in the 150 cc segment. R15 has been a huge success for its spectacular engineering. It has liquid cooled, 4 stroke SOHC, 4 Valve engine, Hydraulic, single disc - front and rear brakes along with a fuel capacity of 12 litres. Since the launch of R15 version 2.0 in 2011, the bike has gained immense popularity amongst the customers, especially youngsters. Speaking on the occasion, Mr. Roy Kurian, Vice President - Sales and Marketing, Yamaha Motor India Sales Pvt. Ltd. said, "Yamaha R15 is a pure sports vehicle designed especially for racing enthusiasts so that they can experience the power and passion that a sports bike has to offer. The racing DNA, sporty look and superior technology have been synonymous with the R15. While, the core concept of R15 remains the same, with these new colors we strive to continuously interact and excite our target audiences. As we launch the R15 Ver 2.0 in 2 new avatars, we are again very confident that this new introduction will help to keep our target audiences absolutely delighted." The company is focused on constantly bringing further excitement and variety to its style conscious customers and is confident that these new variants will be instrumental in catapulting its sales to an all new level this year. This launch is targeted at the aspiring youth between the ages of 18 - 24yrs who are early adopters and continuously look for more stylish products to suit their ever changing fashion statement and personality. 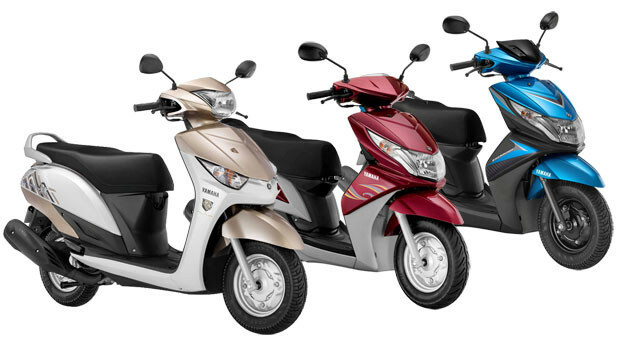 In its continued endeavor to bring new excitement to its customers, Yamaha Motor India Sales introduced an all new range of Alpha, Ray and Ray Z scooters for the year 2015. The company launched the new variants of its scooter range enabled with Yamaha's Next Generation 'Blue Core' engine concept. 'Blue Core' is a development ideal for products that take riding enjoyment, fuel efficiency and environmental performance to all-new levels. The engines based on the "Blue Core" ideal are the result of a thorough pursuit to 1) increase combustion efficiency, 2) increase cooling efficiency and 3) reduce power loss. As a result of this enhancement, the new scooter range from Yamaha will boast of improved fuel mileage at 66 kmpl (Old mileage was 62 Kmpl) and excellent engine performance. The new scooter range from Yamaha will be available in vibrant new color schemes and graphics. Yamaha sells the Ray, Ray Z and Alpha scooter models in India. While Ray and Ray Z were launched in the country in 2012 and 2013 respectively, Alpha made its debut during the Auto Expo, held earlier last year. While Ray and Ray Z cater to young girls and boys respectively, Alpha caters to the family segment. 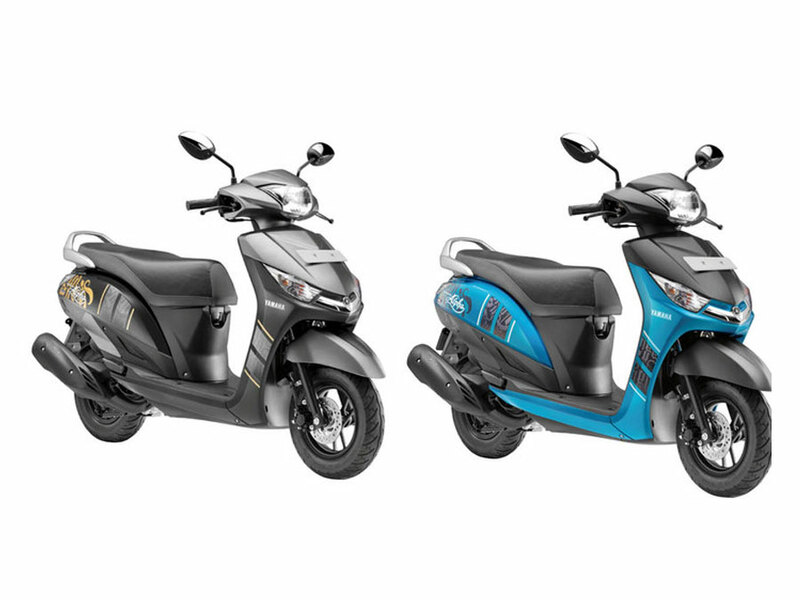 The new scooter models based on Blue Core development ideal are powered by a newly designed air-cooled 113cc four stroke single cylinder engine that delivers smooth start-up acceleration and pickup along with great fuel economy. There are few minor changes in the engine from the current scooter range. These changes are: Nickel spark plug for improved combustion, new muffler setting and New BS carburetor & TPS setting. Mr. Roy Kurian, Vice President, Yamaha Motor India Sales Pvt. Ltd said, "We are eying around 10 percent share in the fast growing scooter market in India this year riding on our three scooter offerings. Currently, we have over 5 percent market share in the scooter segment, which is pegged at around 3 lakh units per month. The success of the Ray, Ray Z, and Alpha scooters are essential to Yamaha to realize its targets in the coming years. We are looking to place ourselves as a mass-market leader in India and scooters is certainly are main focus to be able to achieve this. Yamaha sees scooters contributing over 50 percent of its sales in the future. Currently, scooters constitute about 40 percent of our sales." Yamaha Motor India Sales Pvt. Ltd has seen sales soar after it first introduced scooters in India in September 2012 with the launch of its sporty and stylish scooter Ray for women after seeing a huge demand from college girls and young working women looking to purchase a light-weight and highly efficient scooter. Thereafter, Yamaha launched its second scooter offering in India - the RAY Z - a model designed for young male users in the age group of 18-22 years with the concept of 'Aggressive Sporty Design'. Backed by the same sound performance of the Ray, it offers a sporty look and feel, with smooth start-up acceleration and good pickup, besides great fuel economy. Yamaha later unveiled he Alpha that catered to a much larger target audience - the family segment. It was developed to target family customers with its concept of "Easy to go and high utility city mover".